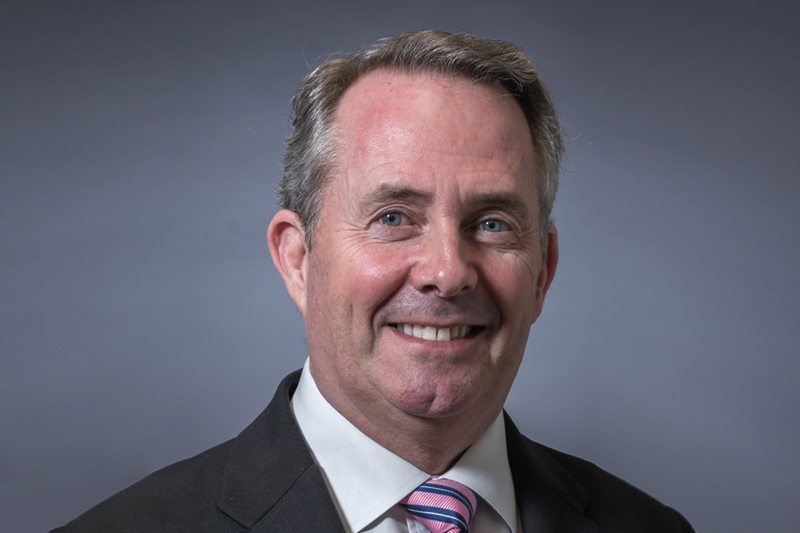 Speech delivered by Dr Liam Fox, Secretary of State for Defence. In February as Shadow Defence Secretary, I spoke here at RUSI about the challenges that would face a new government in conducting a ‘Strategic defence and security review’. I said then that this would necessarily be a strategic review, led by the requirement to deliver and support the sort of foreign policy this country needed. I said then that our approach to defence needed a step change not minor tinkering with the system. I said then we would have to confront the harsh facts of the economic climate in which we operate. Today, as Secretary of State for Defence, I can confirm that all of these will be the case. The ‘Strategic defence and security review’ will make a clean break from the military and political mindset of Cold War politics. It will be a strategic, cross-government and comprehensive, covering all areas of defence and security. We will make sure that the capabilities we invest in are those best placed to provide the security we need for the future. We will bring defence policy, plans, commitments and resources into balance, and produce over time a transformative change to British defence. Gone will be the ‘salami slicing’ approach of the previous Labour government, replaced with a considered, coherent, long term direction for defence policy that is achievable and sustainable. I want to set out for you today the foundations upon which the SDSR will be built. I want to be frank about the dangerous and unpredictable nature of the security environment in which we live and the dire economic realities we will have to confront. I want to be optimistic about the outlook for the financial position but am sorry to say that the view from government is even more bleak than it looked from opposition. As the Prime Minister and the Chancellor have set out, now the books have been opened there is no doubt about the need for reform and change across government as a whole. I want to make sure that there are no illusions about the daunting scale of the challenge we face. But before this, I want to go back to first principles and set out briefly the approach to defence that this government will be taking. The first duty of government, and is bears repeating, is to protect our way of life and provide security for our citizens. While many arms of government are directed towards or contribute to this aim, it is the armed forces that are central to this effort. Of course there are many things our armed forces can do in the promotion of our national interest and to support government policy more widely. Our Service personnel are highly committed and extremely capable with a “can do” attitude, and with the equipment, logistics and knowhow to deal with a wide range of situations. We know that we can rely on them to fulfil whatever task is thrust upon them. That might be resilience operations here in the UK, such as helping in the aftermath of flooding; or where there is a need for military capability to assist an urgent lifesaving humanitarian crisis abroad. But we must not lose sight of their primary mission, to maintain the capability to apply lethal force where needed so that political decision makers have the widest possible range of choices when making strategic decisions. First, our armed forces protect our citizens and territory by deterring and containing threats, preventing possibilities from becoming actualities. The central message of Corbett’s metaphor is that a declaration of peaceful intent is not sufficient to dissuade an aggressor. We underestimate the value of deterrence at our peril and we do ourselves a disservice if we merely confine it to the concept to nuclear weapons. But we must also remember the powerful deterrent effect of our conventional forces. Recently we have perhaps failed fully to recognise this. I want the SDSR to change that, to take a fresh look at what we are doing to dissuade aggression, and how we might do this better. This brings me to the second aspect of the armed forces’ primary mission. Defence is also there for when everything goes wrong, when deterrence and containment have failed, when diplomacy is exhausted, and as a last resort, the use of lethal force is required. No other arm of government can deliver this or is designed for this purpose and it cannot be outsourced or delegated, even to our friends. So our armed forces must be structured first to deter and second to deliver the use of force in support of our national interest and to protect national security. We undertake this ‘Strategic defence and security review’ at a time when our armed forces are delivering on this primary mission in Afghanistan. As the Prime Minister told our troops last week, we are in Afghanistan out of necessity, not choice. Our mission in Afghanistan is vital for our national security, vital for the security of the region and vital for global stability. We cannot allow Afghanistan to be used again as a haven for terrorists or a launch-pad for attacks on the UK or our allies. So Afghanistan remains our top priority, and our people in theatre will get the best support that is possible. Counter-insurgency needs strategic patience, and we’re committed to seeing the mission through to resolution, creating a stable enough Afghanistan to allow the Afghan people to manage their own internal and external security. This is no time for us to lose our nerve and we must find the language to persuade the British people to stick with us. We also need to have clear messages for the Afghan people. We seek the government of Afghanistan by the Afghans, for the Afghans. We insist only that it does not pose a security threat to the UK, our interests or allies. By the end of the year, I expect that we can show significant progress, consolidating ISAF’s hold in central Helmand and accelerating the training of the Afghan National Security Forces. There is no absolutely reason why any NATO country cannot do more for the training mission, it is a measure of our commitment and resolve as an Alliance, and it is the route to bringing our troops home without leaving a security vacuum behind. But achieving success in Afghanistan must not prevent us from conducting our other operational commitments effectively, such as defending the Falklands, training missions in Iraq or counter-piracy operations in the Gulf of Aden. I have likened previously conducting a defence and security review while at war to building a boat while at sea. But after 12 years without a defence review, over a period where our armed forces have been at times overstretched, with some current equipment overused and out of date, with legacy programmes from the Cold War that are of less relevance today, and in a terrible economic and financial circumstances, we cannot afford to delay. But I want to be as open as I can about this backdrop because, to be frank, change is not an option, it is a necessity. Take one aspect, the defence budget itself. It is no secret that the Labour government mismanaged defence to such an extent that the future programme is entirely unaffordable, especially if we try to do what we need to do in the future while simultaneously doing everything in the way we do it today. Even if defence spending kept pace with inflation, we face a deficit of many billions of pounds over this life of this parliament and more over the next decade. To make things worse there are structural pressures on the current budget that operate above inflation and exacerbate the situation. Around 70% of the budget accounts for spending on our people and equipment and support combined. The trend of pay increases for armed forces runs at 1.5% above the underlying rate of inflation. We need to deal with the fact that the cost of successive generations of equipment continue to rise at above the rate of inflation though we will be making substantial efforts to get better value for money. Contractual and structural commitments on personnel and equipment mean that the budget is very heavily committed for each of next four years, severely limiting our room for manoeuvre. Labour’s solution to all this was to delay projects, increasing long-term costs, and to continue to rely on an SDR long past its sell by date. For instance the decision to slow the rate of the Queen Elizabeth class Carriers in 2009 increased the overall costs by more than £600 million. This shambolic approach to defence cannot continue. No matter how hard we bear down on the costs of administration and drive up efficiency we cannot expect to bridge the gap by these means alone. The problem is structural so the response must be structural to put Defence on a stable footing. The MOD itself must face reform. We intend to reorganise the whole organisation into three pillars, first, strategy and policy, second armed forces and third procurement and estates. We intend to create a more efficient and leaner centre where everyone knows what they are responsible for and who they are accountable to, with the deadlines and budgetary disciplines taken for granted elsewhere. Major reform of our procurement practices will be accompanied by a number of industrial consultations that I will outline shortly to Parliament. But as much as structural reform is required, I am equally determined that the Armed Forces are re-configured to meet the needs of the evolving security environment and satisfy the ambitions this country has. We do have to operate in the financial climate we have inherited and defence cannot be immune from that challenge. We will have to be tough and unsentimental to boot if we are to do what needs to be done. But while the SDSR may be resource informed, it is policy led. The Foreign Secretary has set out the new government’s distinctive British foreign policy that has at its heart the pursuit and defence of UK interests, recognising that our prosperity and security is bound up with those of others. This will require the enhancement of diplomatic relations with key partners, using Britain’s unique network of friendships, bonds and alliances, working bilaterally as well as multilaterally. Britain should shape the world, not just be shaped by it. But we must be clear that this does not mean we must be able to do all things at all times. In the final analysis we will need to retain the capacity to deploy military strength in defence of our own national interests. It remains true that we live in a period in which direct military threats to UK territory are low. But the wider risks to our interests and way of life, whether from terrorists, failed states, conflict between other states, nuclear proliferation, climate change or competition for resources, are all growing. And we know from historical experience the difficulty of predicting future conflict. We cannot jeopardise our future security on the assumption that future conflicts will mirror the current ones. The Defence contribution to the SDSR will balance the immediate demands of the mission in Afghanistan with planning for alternative futures. Now, it is conceivable that we will negotiate the next half century without confronting any of these risks and I certainly hope so. But it is equally possible that the UK could face security policy decisions relating to any or all of them during the course of this Parliament. That is the reality of the world in which we live and we must break away from the recent habit of planning for the best case scenario and then hoping the worst never happens. Unlike the Cold War, we cannot be confident about how, and how quickly, these trends might evolve. I shall therefore be conducting a thorough stock take of our contingency plans in the months ahead. Of course responding to such events would not be for Britain alone. Britain’s relationship with the United States will remain critical for our security. It is the most important and prized strategic relationship for the United Kingdom. NATO will remain our first instrument of choice for responding to the collective security challenges we face. In the last decade, NATO has moved unambiguously outside its traditional geographic area, with European allies, such as Germany, deploying troops abroad in ways that would have been inconceivable a decade ago. In places like Afghanistan, we are now operating alongside non-NATO partners, both military and civilian. We must use every lever at our disposal, including the Commonwealth, UN, EU and other regional organisations, to protect our security in an uncertain, unstable, and unpredictable world. That is why a broad programme of defence diplomacy is required, as is stepping up bilateral defence co-operation, particularly with nations who share our interests and are prepared to both pay and fight, such as France. Let me then sum up the MOD’s approach to the ‘Strategic defence and security review’. First. Relevance, our posture and capabilities must be relevant to the world we now live in. This is our opportunity to dispense with much of the legacy of the Cold War. Second. Realism, resources are tight for the country as a whole and Defence is no exception. This review must be anchored in the art of the possible. We cannot insure against every imaginable risk so we will need to decide which risks we are willing to meet and which risks we are willing to take. Third. Responsibility, as a nation, we have a duty to give the brave and capable men and women of our Armed Forces our full support in return for the selfless service and sacrifice they are prepared to make in our name. We must ensure that they have what they need to do what we ask of them - and they and their families are looked after properly during and after service. This will be a major reform agenda, informed by the pressure on resources but driven by the changing world in which we live and the nature of the threats we face. Let me reassure you that the SDSR will be strategic, cross-government, and a comprehensive exercise overseen by the newly formed National Security Council, to provide a coherent approach to security, and informed by a new ‘National security strategy’. We intend to publish our conclusions in a white paper by the end of the year. As I have set out today, we face some difficult, delicate and politically charged decisions. There are competing priorities, risks to manage and budgets to balance. We must act ruthlessly and without sentiment. It is inevitable that there will be the perception of winners and losers as we go through this process. But defence as a whole must come out in a stronger position. The prize is a safer Britain with secure interests and a sustainable defence programme able to address the needs of today and prepared for tomorrow. As I said earlier, protecting our way of life and providing security for our citizens is the primary and overriding duty of government, that is why the SDSR must become a national endeavour and all in government must have the political resilience, strength, will and resolve to see us through.